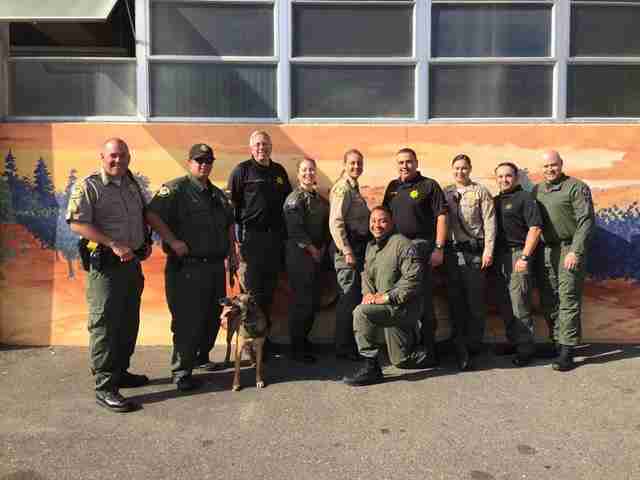 The men and women who serve with California's Sonoma County Sheriff's Office put their lives on the line each day to protect the community - but nothing could have prepared them for this. Last week, deputies received an emergency call from an 18-year-old man in distress. The individual was at home alone when his dogs began barking frantically, signaling to him that something was amiss. Upon closer observation, he heard strange noises coming from within the home and decided to dial 911 - only after barricading himself and his pets from the suspected intruder. "We came out and he's all afraid, thinking there's a prowler in his house," department spokesperson Spencer Crum told The Dodo. "Several deputies arrived and went in the house, a couple of others stayed outside to search the exterior." That's when they found the culprit. "One of the deputies outside the house heard this scratching noise," said Crum. 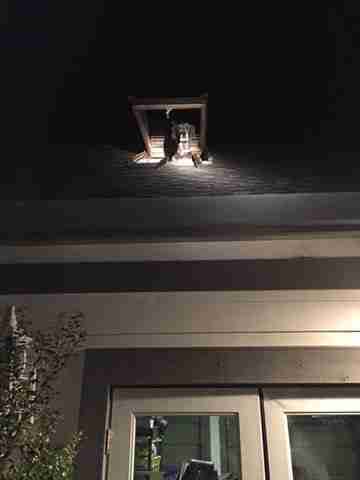 "He shined his light around the house and saw this dog sticking his head out a skylight on the roof. The deputy said - and I quote - 'At that point we ditched all tactics and died laughing.'" Turns out, there was no home invader after all. 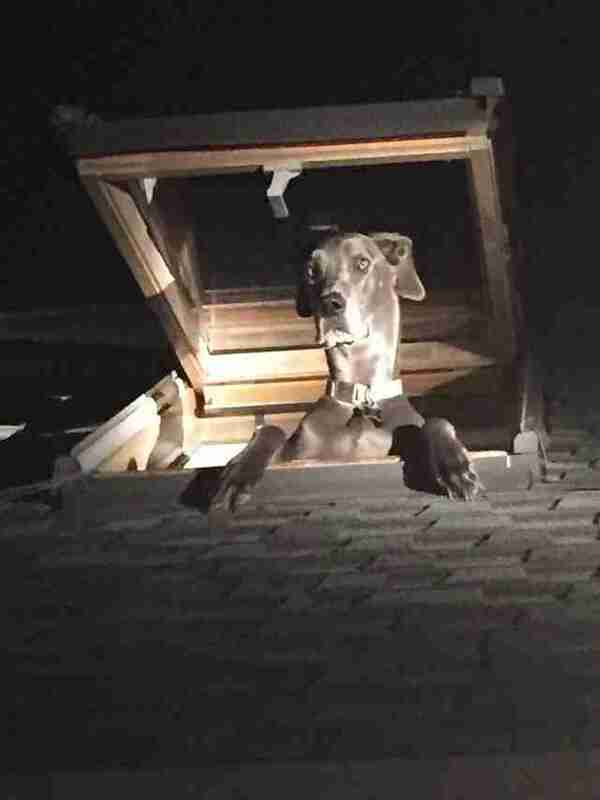 The dog in the skylight, a Great Dane, was actually one of the home's pets whom the young caller had failed to account for in all the panic. The dog had managed to reach an upstairs bedroom where he was tall enough to stand with his head outside, perhaps simply to enjoy the cool night air. "Apparently, the littler dogs had been freaking out because they couldn't get up there," said Crum. Naturally, the situation ultimately resolved itself - but not before finding a place in the record book. "I've done this job for 25 years, and there's been a lot of strange calls," Crum said. "A dog mistaken for an intruder in his own home? That's pretty abnormal."